The bribery scheme carried out by several Latin American governments and the Brazilian construction company “Oderbrecht” has made headlines. 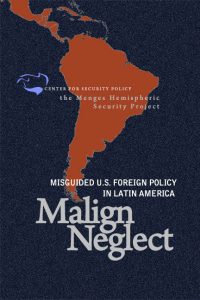 The scheme involved an illegal funding of political parties that involves several Latin American presidents and governments from all sides of the political aisle. They include the Workers Party in Brazil and the former popular president of country Luis Ignazio “Lula” Da Silva, Dilma Rousseff and the current president Michel Temer from Brazilian Democratic Movement party, former Peruvian presidents Alejandro Toledo and Ollanta Humalam, former Argentinean president Cristina Kirchner, former Panamian president Ricardo Martinelli and current president Juan Carlos Varela, Colombian president Juan Manuel Santos and his opponent in the last election Oscar Zuluaga, and of course, Nicolas Maduro of Venezuela. What is interesting about this scheme is that it is a systematic method where the company secured government contracts by overcharging and then funneling part of this money back to the politicians. Some of this money went directly to the politicians’ pockets and another part went to finance political campaigns. Interestingly enough, “Oderbrecht” was the largest company involved in this plot, but it was not the only one. There were several others doing the same thing. Most likely, political leaders themselves promoted the system, as they saw it was working well with “Oberdrecht.” By the same token, the construction company also did the same seeing that it worked so well in Brazil. This is precisely the problem. Once this scheme becomes a pattern, dangerous gates are opened. Indeed, the former populist President of Argentina, Cristina Kirchner, replicated the scheme with Argentinean companies involved in the illegal ephedrine traffic. This illicit trade has been carried out for almost a decade by several Argentinean pharmaceutical companies that imported the drug from Asia to later sell it to drug cartels in Mexico. Kirchner’s presidential campaign received contribution from these illegal operations. This is one among several other schemes she is being investigated for. The obvious conclusion here is that the need to raise money for political campaigns easily may lead to a fraudulent agreement with criminal organizations. It is enough to remember the case of former Colombian president Ernesto Samper, who received money from Colombian drug cartels for his electoral campaign. Indeed, this is the way in which organized crime has been able to corrupt entire countries such as Guatemala, large parts of Mexico, and other places in the region. But these are just some of many examples. Corruption has been the way of life in Latin America for a long time. Legal controls are highly ineffective, and the press is often afraid to denounce. Likewise, with some exceptions, the judiciary in most Latin American countries does not enjoy the autonomy and the knowledge required to fight corruption. The convergence of Iran-sponsored radical Islam with transnational organized crime in Latin America is a serious threat to the national security of the United States, especially in the tri-border area, or TBA, where Argentina, Brazil, and Paraguay converge. In this area, Hezbollah supporters and operatives engage in illicit activities that generate tens of millions of dollars for Iran’s Lebanese terror proxy, while laundering money for local organized crime. In some cases, their trade-based money laundering operations extend into the United States, posing a direct threat to the integrity of its financial system. This leaves us in a situation that if our neighbors have no institutional integrity, no law, and no government, there is nowhere for us to turn when we face vital danger from the South, such as terrorism or transnational crime. We need sound neighbors, particularly when our borders are so permeable. Having said so, the scandal involving Latin American presidents and leaders has some good signs. First, there is movement within civil society that has its epicenter in Brazil denouncing generalized corruption. It is likely to spread out to other countries in the area. The demonstrations in Venezuela are not only against the tyranny of the regime but also against its corruption. In Guatemala, the government of Otto Perez Molina collapsed after a UN commission working in Guatemala disclosed mass protests over the president’s corruption. In Honduras, social protests led the government to agree to a similar international commission under the auspices of the Organization of American States (OAS). In Mexico, a citizens’ movement collected signatures in a petition that brought about new legislation to fight corruption more effectively. In Brazil, the judges that carried out the investigations and were not afraid of sending high level politicians to jail, and they are the heroes that helped unleashed what we expect will be the beginning of a change. This is going to be a long and bumpy road but the only one possible. 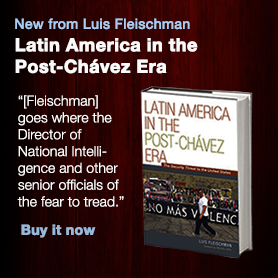 The U.S. needs to support Latin America in its efforts to restore good governance and the rule of law.